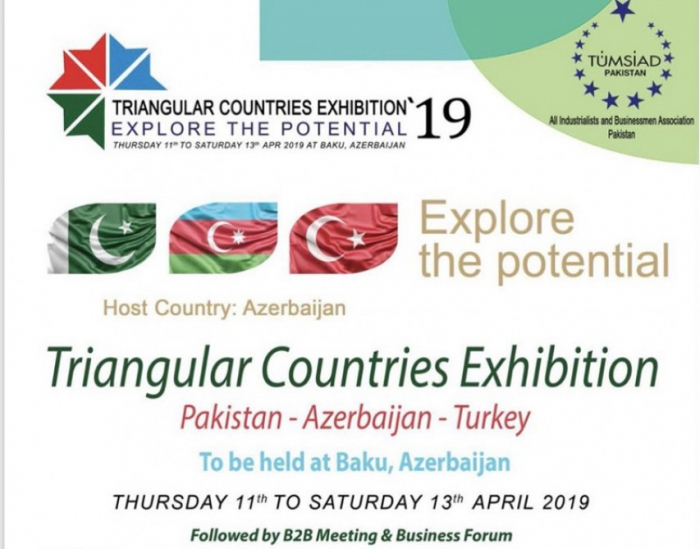 The three-day Pakistan-Azerbaijan-Turkey “Triangular Countries Exhibition: Explore the Potential” will be held in Baku from April 11-13, DND News Agency reported. The exhibition is an attempt to identify the prospects and potential of strengthening economic ties between Turkey, Pakistan and Azerbaijan. The Triangular Countries Exhibition will be followed by a B2B Meeting & a Business Forum. Its objectives include promotion of intra-regional trade & investment; branding South Asia as an investment hub and trading partner to the world; creating business links within businesses between Pakistan, Azerbaijan and Turkey to share their knowledge and expertise with each other; showcasing and exchanging culture and traditions of the participating countries; creating a common platform for businesses to showcase their product and services; and promotion of people-to-people contact through promoting regional tourism and cultural activities.